Heather Saba picks out her favorite pieces. 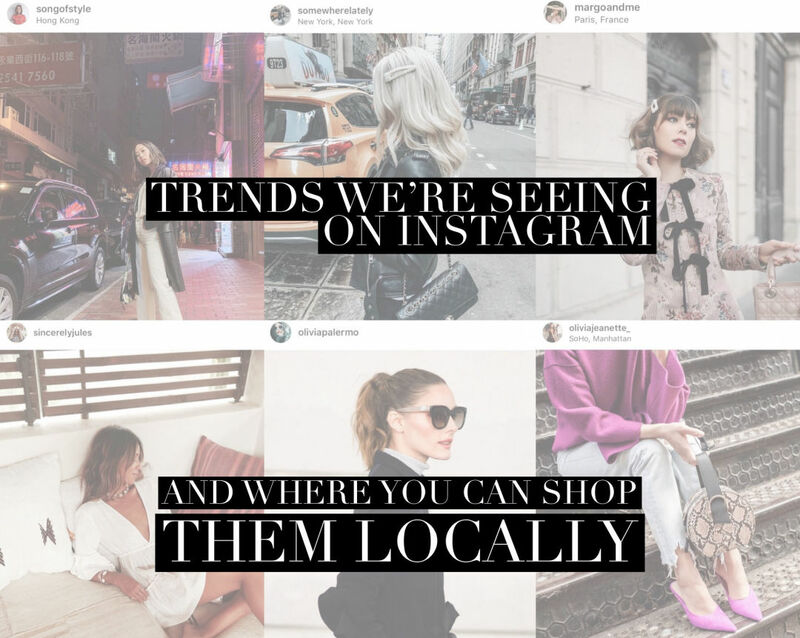 Be it love at first sight or love after inescapable repetition, there are a few trends on Instagram I’ve been seeing nonstop—and their presence demands recognition. So what are the items that I've recently added to my closet and online shopping bags? Cream-colored jeans, hair clips and headbands, oversized sunglasses, shell jewelry, things that are purple and things with bows. 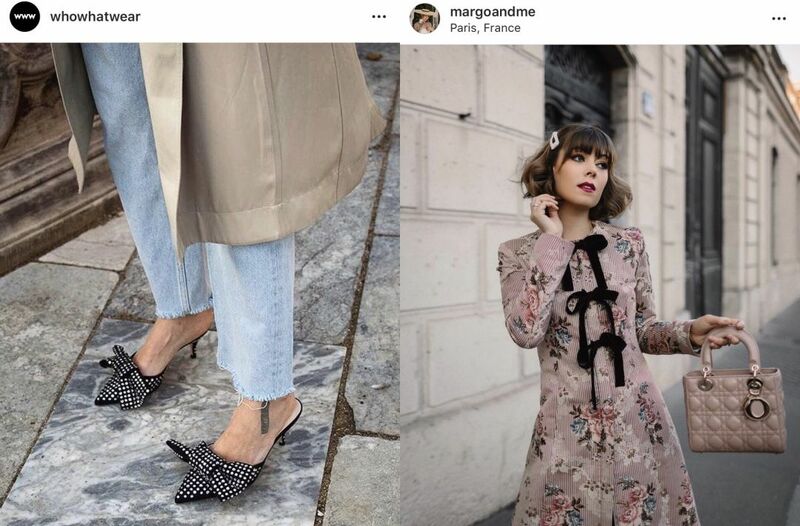 Luckily, I found all of the above items locally, so you can add these must-have, everyone-will-be-wearing-them-soon-so-you-should-do-it-first items to your closet ASAP. 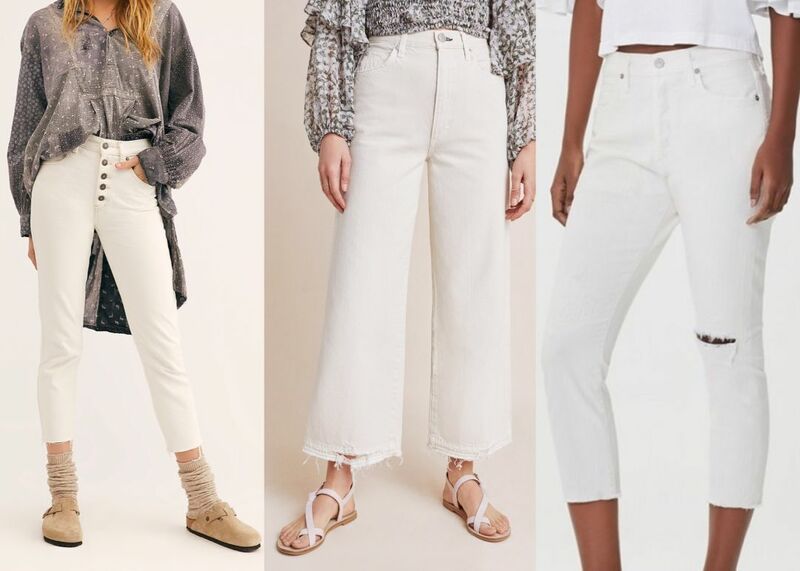 White jeans are always a springtime staple, but this year, cream jeans are really in the spring spotlight. Cream-colored jeans should be an obvious item in everyone’s closet (such a classic neutral), although to be honest with you, I don’t think I’ve ever owned a pair. But don’t worry, I have a pair now, and if you’re also in need of some, Influence Style, Free People and Anthropologie have perfect cream jeans, ready for you to purchase and add to your spring wardrobe. 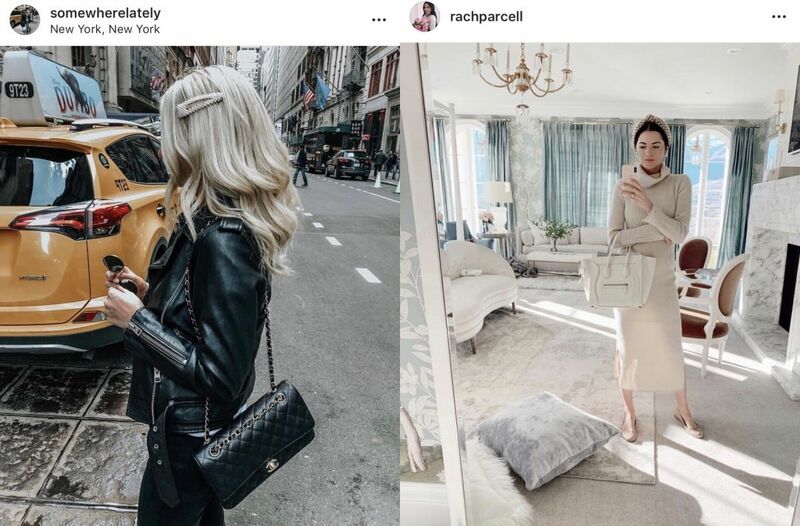 We knew headbands were going to be a big trend this year (see 2019: The Year of the Headband), and the most popular has hands-down been the oversized, knotted style with pearls. It’s almost like a crown of pearls, and is absolutely Blair Waldorf approved (she is the headband authority, right?). Hair clips are also super in right now and I’m loving these stylish clips you can find at Free People ($12, Free People at The Mall at UTC). I couldn’t find any of those pearl crowns locally, but Influence had a cute assortment of knotted headbands, like these from Lele Sadoughi. Influence (474 John Ringling Blvd. and 8141 Lakewood Ranch Main St., N-102). Are tiny frames out? 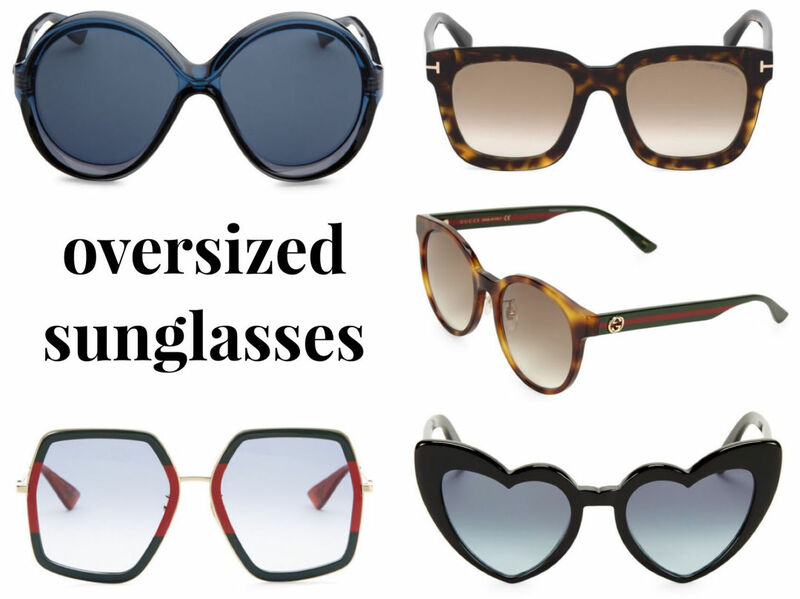 I’m not sure but oversized sunnies are making a comeback. 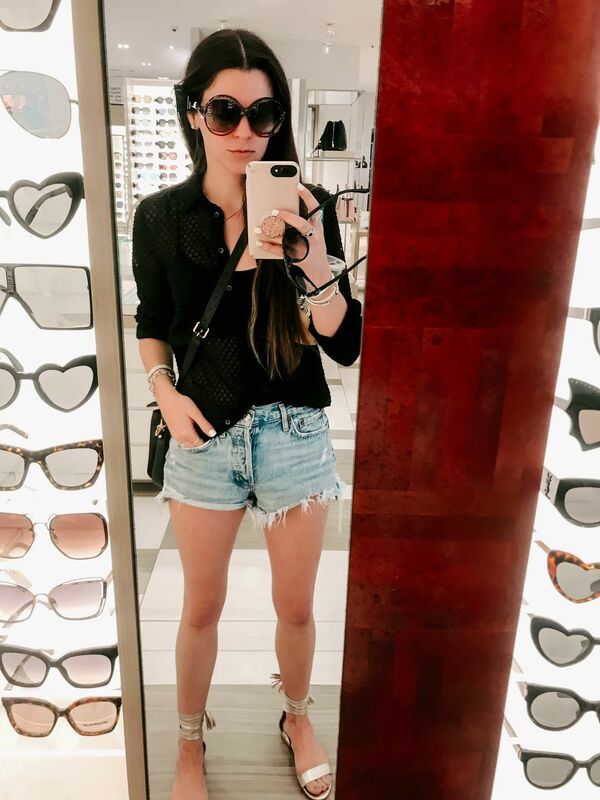 I’ve secretly been dying for this trend to make another round, so I headed straight to the glorious sunglasses wall at Saks Fifth Avenue last week to try on a few pairs. 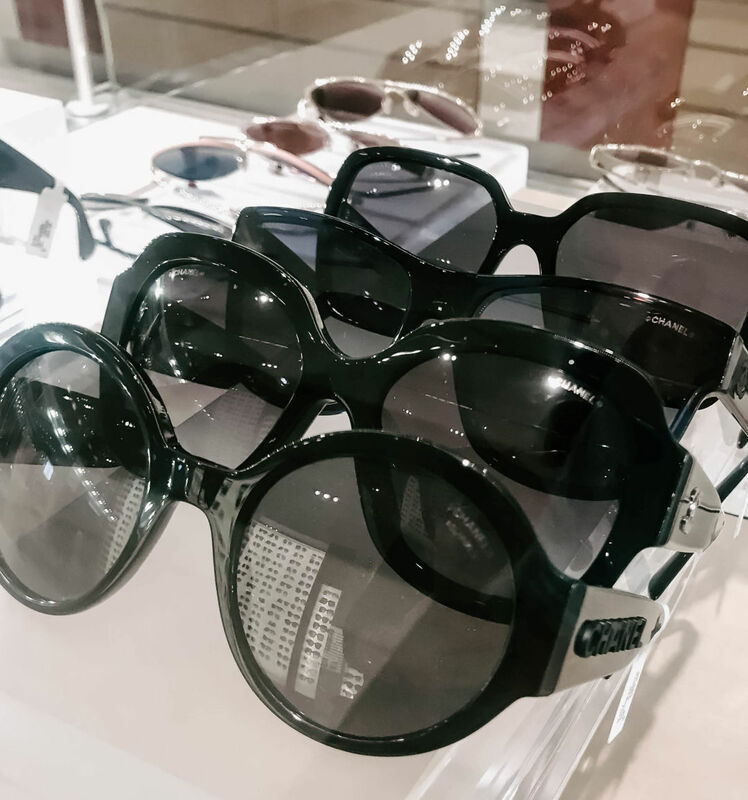 In sunglass heaven at Saks. My pick: Anything oversized Chanel! 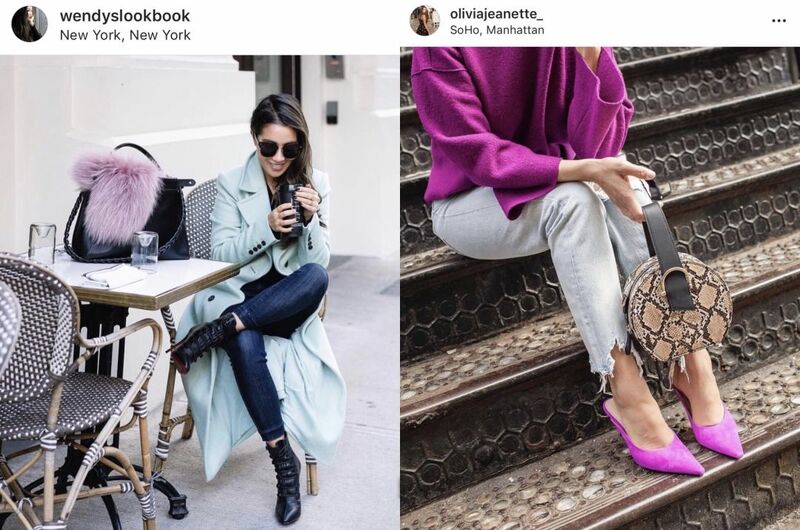 Plus, these aren’t available online—you can only score a pair by actually closing your phone or laptop and actually visiting our local Saks Fifth Avenue. 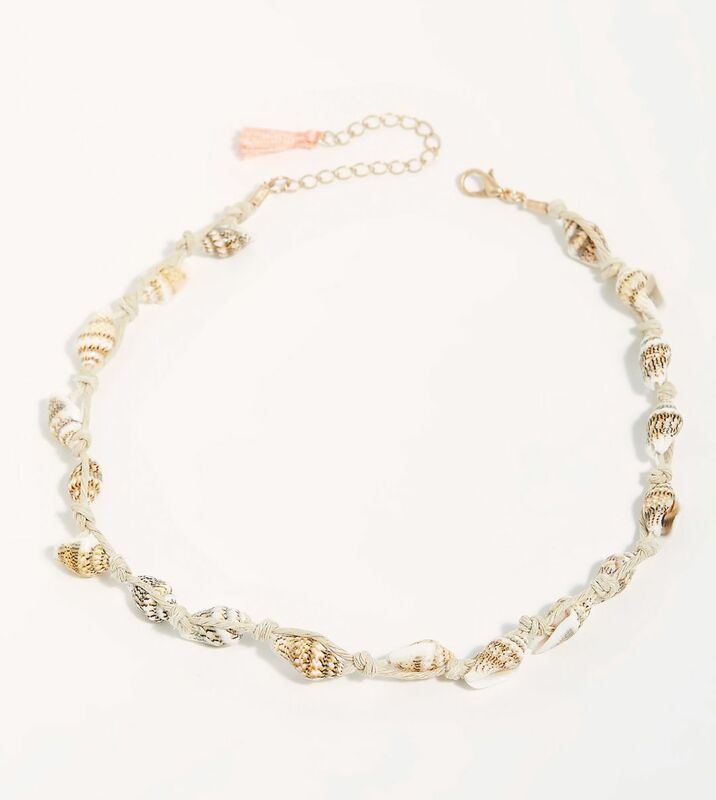 Shell necklaces… shell bracelets… shell anklets... All things shell are so in right now. Yes, the kind we wore growing up (if you’re from here, you very likely have at least one yearbook photo wearing a shell choker). You can go true fashion-girl with this trend and buy a forever piece, like this one I found at 530 Burns Gallery. You could also put this piece on a longer chain of your choice, but I like how it’s paired here with this braided leather chain. Embrace the trend, but in a chicer way. 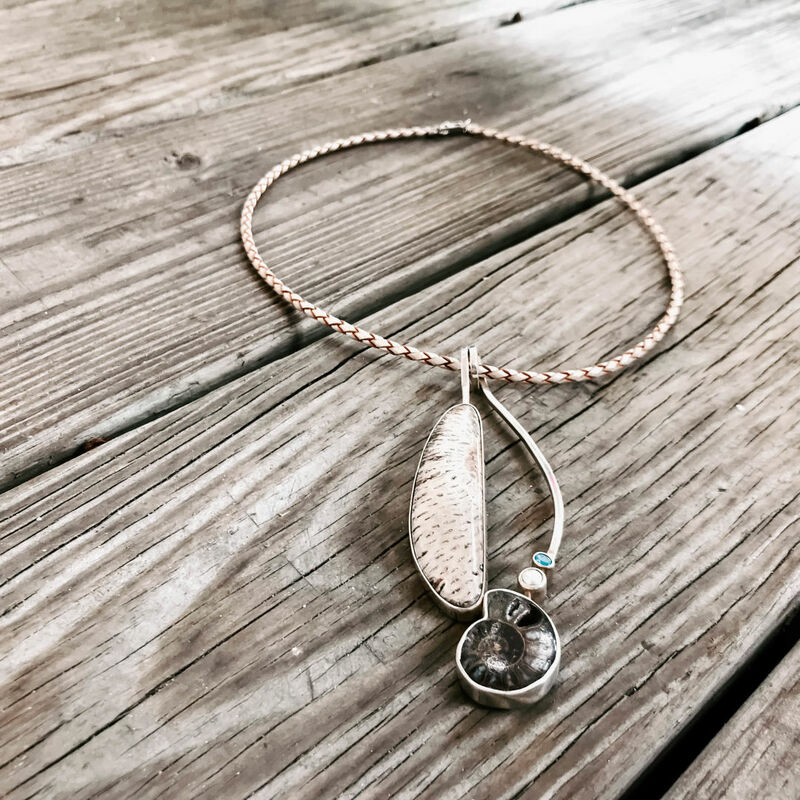 Free People also has the classic shell choker look, and of course, you could just head out to Beach Bazaar on Siesta Key and buy some cheap and classic shell flair. Purple is really popular right now. 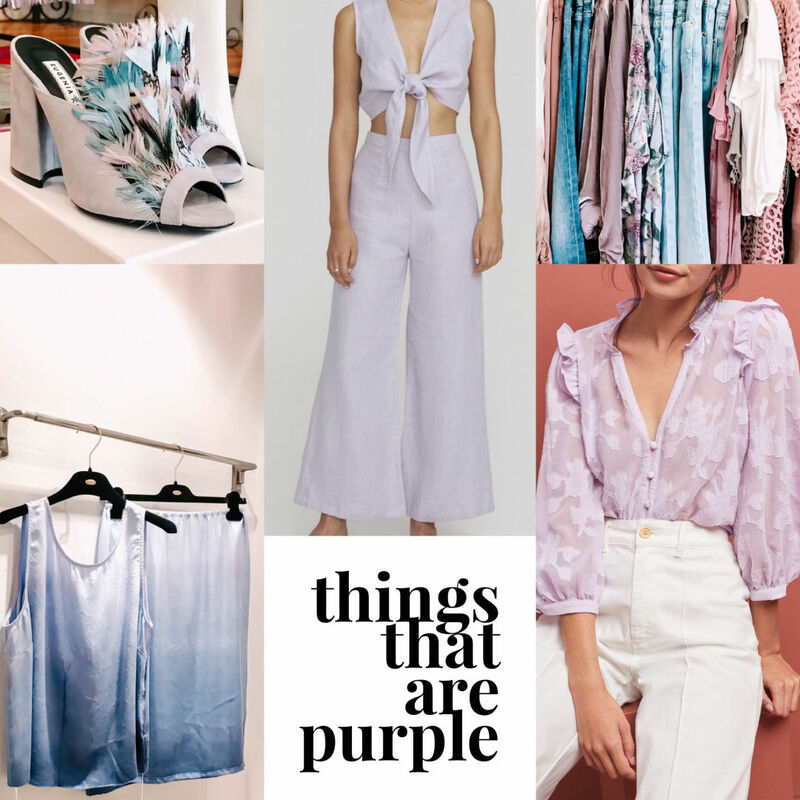 I mean, purple is always a classic color for spring, but it’s like the queen of spring colors right now (at least according to my Instagram feed). You can find my favorite purple styles locally right now at Influence, Lotus, L. Boutique and Anthropologie. If you’re a feminine, glam girl, bows are probably quick to come by in your wardrobe. But even if you’re not, reconsider bows and give them a go this season. I’ve gone through cycles of liking and not liking bows over the years, and right now I’m in a liking them phase—especially these metallic bow items I found. They're just girly enough, with a little glam. Now head out to these local shops and add these must-have spring staples to your closet!